Jet Setting Footware for Spring! Jet setting footwear has arrived at Leal. Keep your feet cool, comfy and trendy with our new Spring Styles! 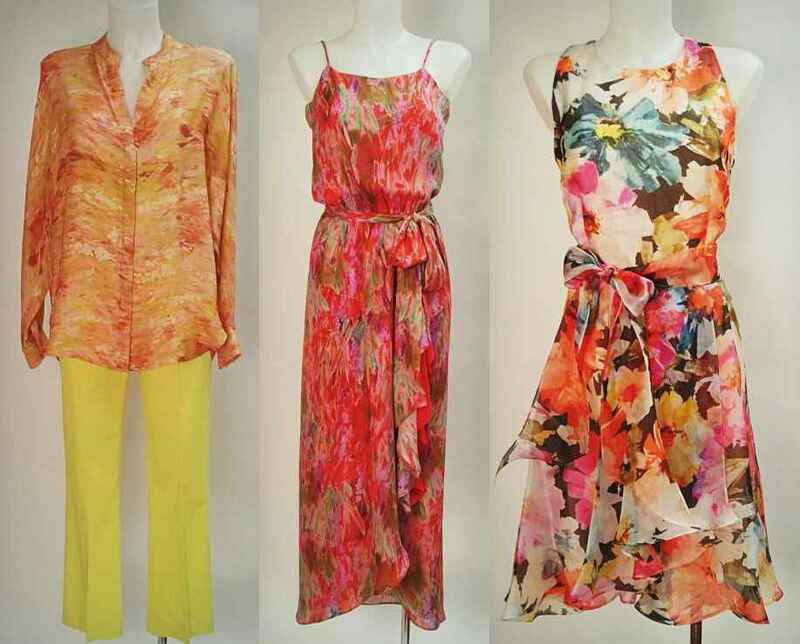 Floral & Abstract Prints For Spring! Floral and abstract prints are hot this Spring! Stop in Leal and check out our selection of beautiful prints for every occasion! We paired it with a chunky chain link necklace – a hot trend for this Spring! Look Trendy for St. Patty’s Day! Whether you’re Irish or not, we have the looks that will show your St. Patrick’s Day spirit! Step out in style next weekend (or anytime!) 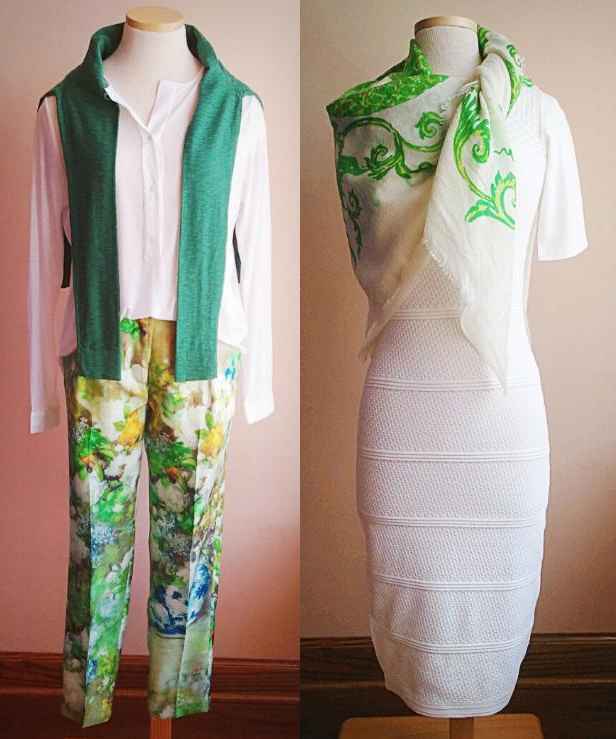 in these beautiful silk pants, blouse and scarf from Malene Birger, or show-stopping white dress from D. Exterior! Starting this week, we are back to our Spring/Summer extended hours. Our website has been updated for Spring! We have updated our website with great new items for Spring, and we are continuing to update it as we receive new pieces everyday! Tops, knits, pants, and dresses like this one from Nicole Miller, plus much more at lealboutique.com!